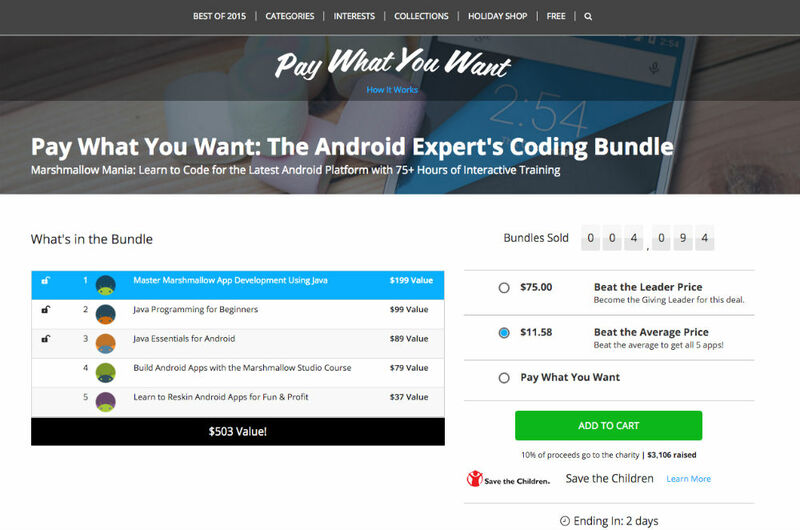 For just two days more, you can pay what you want for the Android Expert’s Coding Bundle on the DL Deals Store. Inside, you will find essential guides for learning to code for Android, including Marshmallow app development and java programming, totaling more than 75 hours of content. If you pay below the average, you will receive the first three courses, but should you pay more than the average, currently set at $11.58, you will unlock all 5 courses. Of the price you pay, 10% of the proceeds will be donated to Save the Children. If interested, follow the link below and become the development master you always wanted to be.